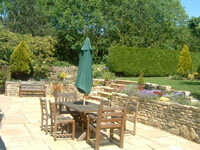 Home Farm Bed & Breakfast is situated in the quiet, unspoilt village of Bredons Norton, nestling on the slopes of Bredon Hill. There are 2 rooms available. One is a double room with an ensuite bathroom, the other has a double and single bed and also has its own ensuite bathroom. 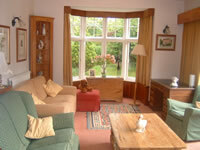 Both rooms are tastefully furnished, centrally heated, have tea and coffee making facilities and a television. Breakfasts are always hearty with a full cooked English Breakfast on offer (the bacon and sausages are made in our own farm shop). 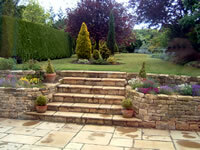 Home Farm has a beautiful garden and patio area that guests are welcome to enjoy, as well as a T.V. lounge. There is ample parking available in the farmyard. Guests make use of the excellent local pubs for evening meals. Home Farm B&B is an excellent base for touring the Cotswolds, Cheltenham Spa, Stratford-upon-Avon, Worcetser and the Malvern Hills. There are a plethora of fabulous scenic walks for all abilities in the area.